The good garden blog is about sharing garden inspiration and ideas from historic gardens around the world and some right next door. Garden stories explore garden history, design, and the garden people behind famous and not-so-famous gardens. My garden photographs span dozens of places across 5 continents. Please join me in celebrating good garden design. 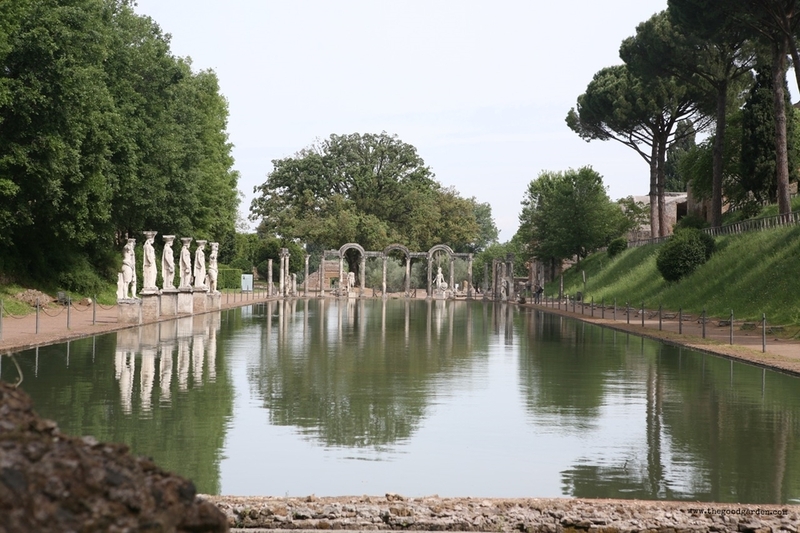 One of the most famous gardens in Hadrian’s Villa consists of the ‘Canopus’ and ‘Serapeum’. It is made up of two parts: a scenic canal and a formal dining area. In this garden guests reclined on a semi-circular couch and food was served on floating trays. The large vaulted structure has niches, skylights, and water cascades fed by twin aqueducts. The dining area looks out onto a rectangular pool, said to have served as a reference to the Nile River. 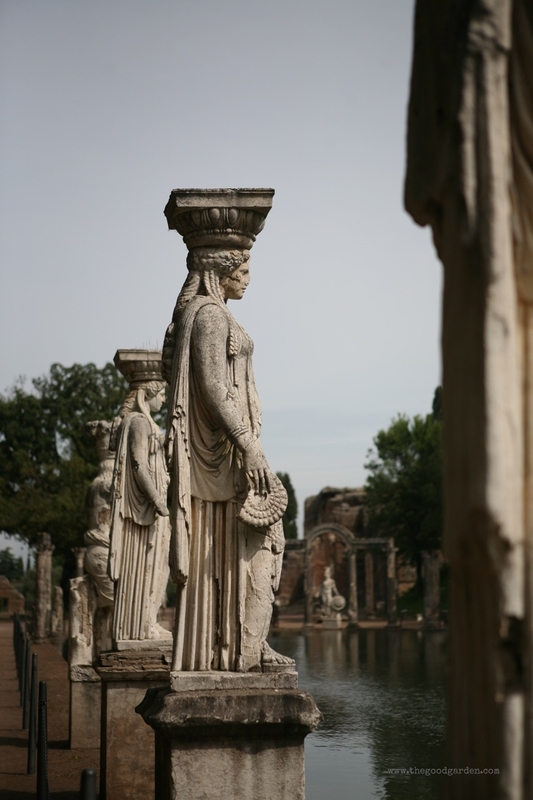 It is ringed by statues copied from the Greeks, including several striking Amazons or female warriors. Being here made me think about how often garden design ideas are borrowed and referenced. In the 100’s CE, Hadrian built on ideas he got from his travels. In Brendan Nagle's book The Ancient World, he shares that Hadrian “spent most of his reign (twelve out of twenty-one years) traveling all over the Empire visiting the provinces…” Hadrian’s travels exposed him to the rich cultures of the Greeks, Egyptians, and Mesopotamians. 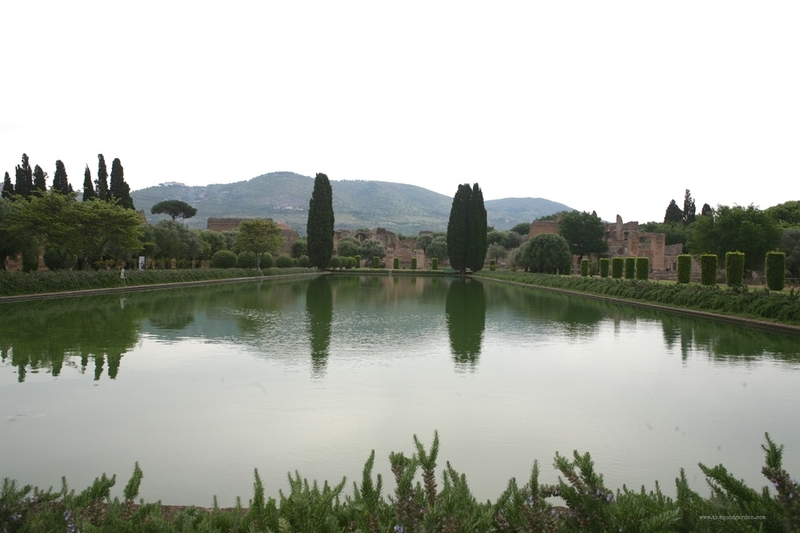 In the 1500’s, Italian renaissance garden designers were inspired by Hadrian’s Villa. And today we are inspired by and borrow ideas from each other’s gardens. Though the ‘Canopus’ and ‘Serapeum’ garden is enormous, the proportions and layout feel ‘right’ and could easily be scaled down for any sized garden. 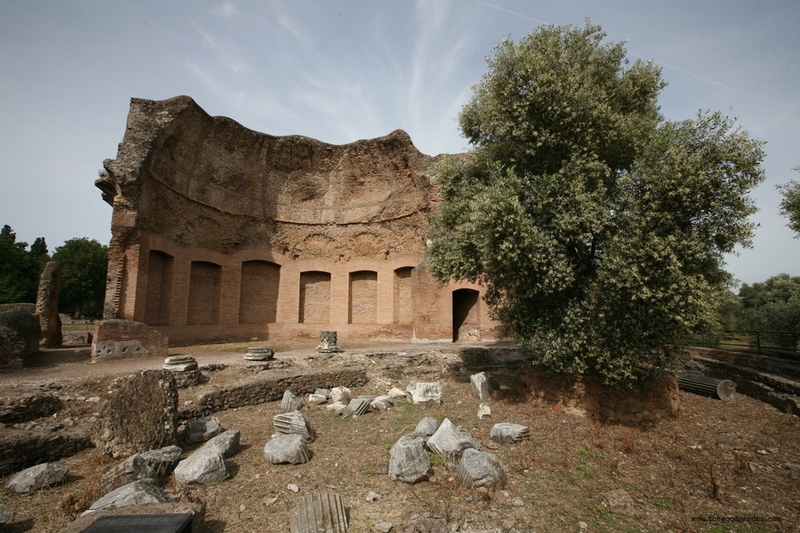 For a blog about garden history, a good place to start is the oldest garden I’ve ever visited, Hadrian’s Villa or Villa Adriana. 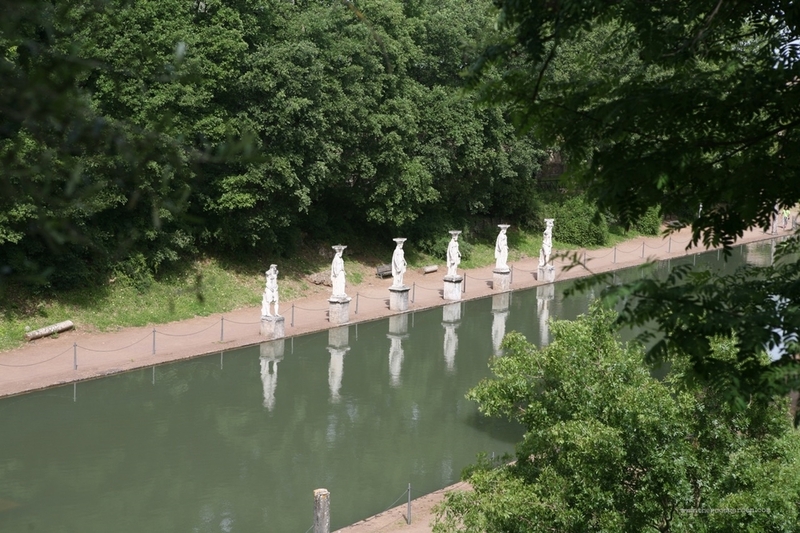 Near Tivoli, Italy, this garden was completed in 138 CE. Today it is more an archeological site than a garden. However, the remains provide important clues about how the garden was laid out. In particular, we can see a series of organizing axes that connect the architecture to the garden and vistas. Geometry, symmetry, and repetition give a sense of control and order. Sculptures provide focal points, refer to great mythological stories, and reflect the wealth, power, and sophistication of the garden’s owner. Water adds luxury and destinations, and defines distinct spaces. These elements clearly inspired garden makers in the 1500’s. The Virtual World Heritage Library has prepared a wonderful web site and video to better understand the layout and use of the Villa, and what the gardens might have looked like when it was first built.